Would you mind sharing your settings? I have even used the AWCC to adjust the speaker settings and I still find them sounding muffled, crackling and low bass. Even with bass dial turned up. 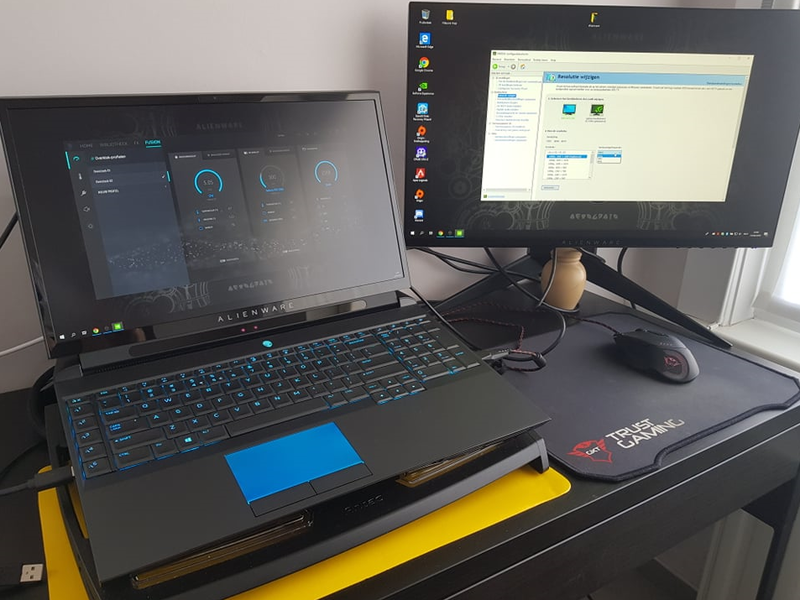 so quick question here guys, i have bought a external Alienware monitor AW2518H ! for my 51M. problem is that its capped at 60Hz. Monitor is connected with HDMI from the box. any idea how to run this at 240 Hz ? Hi everyone, trying to figure out the lowest cost way to owning a 51m on my budget. I noticed that people mentioned Dells starting price was $1,950 earlier on, but now it's risen by $200 to $2,150. Does anyone know of a Dell coupon I can apply at checkout or a cheaper retailer? I've seen Xoticpc's cheaper 2070 and 2080 builds but since I'm on a budget was looking at 2060 + 9700k. Use display port, mini DP to DP cable. Use the display port. Much better for monitors and should support 240HZ no problem. raz8020, Darkhan and Joikansai like this. Being new to all this overclocking malarky I'm wondering which thermal paste to repaste my CPU and GPU with. I like the look of Thermal Grizzly conductonaut 73W/M, except it says in tiny print "May be corrosive to metals" !!! Is it good/bad to use? 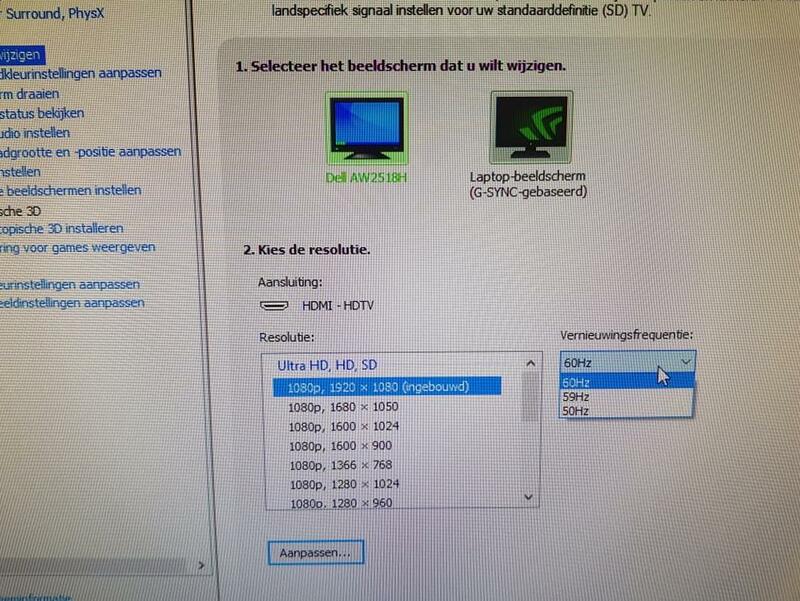 I might be wrong but i think HDMI is not able to run 240hz. As far as i know only HDMI 2.0 supports 1080p with 240hz.
. Have you tried DP? if you’re using the HDMI cable provided with the monitor it should do 240hz no sweat. I have no issues using mine at that hz.